and they’re waiting for YOU to join in! Infectious, musical and full of energy. 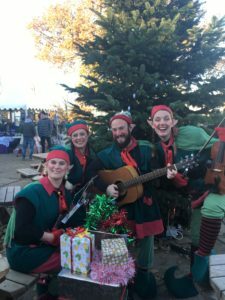 The elves LOVE to dance and they love getting people to join them even more so get your dancing shoes on. or jazz hands or even a kick line or a conga. Creating a party wherever they go you can only smile and join in!